Strengthening and expanding their presence to East Malaysia, AEON CO. (M) BHD. will launch their first MALL in the region on 20 April 2018 which host its first AEON Store. Located only 25 minutes away from Kuching town, AEON MALL Kuching Central endeavours to enrich the lifestyle of the community near and far. Spanning over 1.6 million square feet of gross built up area, housing more than 130 retail lots spread across three floors. In addition to this, the mall also comes with 1,800 car park bays that spread over five level of parking floors, designed to provide ample space for maximum shopping satisfaction to shoppers during their visit to the new mall. AEON Store which consist of AEON supermarket and department stores for family, offering fresh groceries, trendy apparels, household furnishing and appliances, as well as variety of F&Bs. Prior to the official opening of the mall, AEON Store Kuching held an exclusive preview for representatives from the media, providing them with a tour around the Supermarket and General Merchandise Store (GMS) to show what it has to offer. AEON CO. (M) BHD. also breaks tradition with the introduction of its preview sale – a first for any AEON MALL in conjunction with its official launch. Taking place between 17 to 19 April, AEON members are given the opportunity to shop and enjoy special discounts for products and services in AEON supermarket and department stores before its doors are officially open to the public on 20 April 2018. The conceptualisation of AEON Store is anchored upon AEON’s promise to provide all customers with an array of products and services, food and beverage corners, at the same time, personify convenience at its best. The 1st AEON Store in East Malaysia offers a fulfilling shopping experience providing wide variety of products and services - a delightful selection of wholesome sensations, with everything within reach. 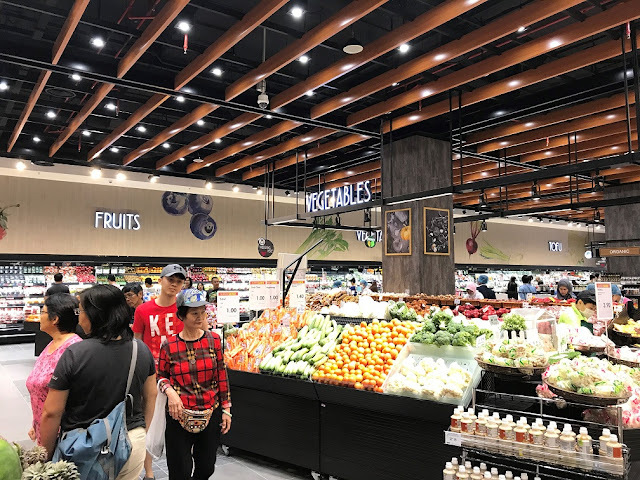 On the ground floor of AEON Kuching Central, customers can find extensive range of fresh and quality groceries sourced locally and globally at AEON Supermarket. Besides shopping for groceries and household essentials, customers can also satisfy their appetites with delicious meal options. A unique element of AEON Kuching Central is its food and beverage selection, in the form of Delica - a one-stop deli boasts a section selling ready-to-eat light bites and easy preparation meals and authentic Japanese cuisine such as sushis, assorted tempuras, pizzas, cooked meats, hot snacks, assorted sandwiches, salads and other similar items. If that’s not enough, there are also several food counters available such as ‘Ready to Cook’, ‘Salmon Counter’, ‘Marinated Counter’, ‘Premium Fruit Gift Pack’, ‘Cut Fruits & Juice Counter’, ‘Cheese Counter’, ‘Korean Kimchi Counter’ and ‘We Cook You Eat’ cooking station. Last but not least, for buns and pastries lover, ‘La Boheme’ Bakery, renowned for tasty delights will surely satisfied one’s craving with breads, croissants and donuts to name a few. 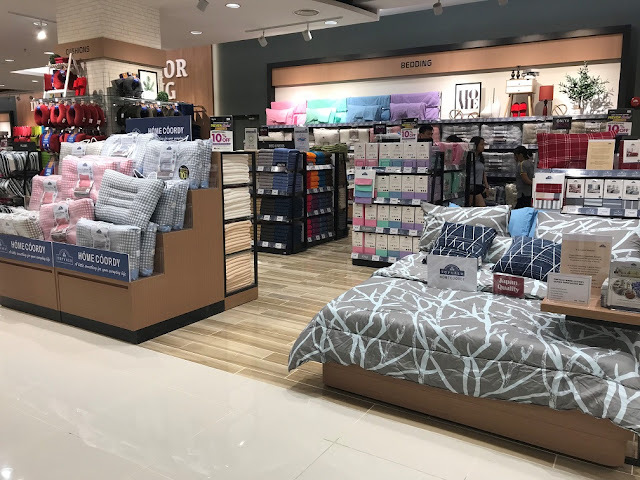 Apart from appetizing delicacies, shoppers can also find a contemporary mix of Japanese fashion, home and lifestyle concepts which include a wider range of merchandise. TOPVALU – AEON’s global flagship private brand, known as the provider of affordable yet reliable Japanese products since 1994 has been AEON’s standard in delivering the best quality, safety and value to consumers across Asia with TOPVALU groceries, TOPVALU COLLECTION for the versatile garments and TOPVALU HOME for the best selections of household furnishing and appliances for home. 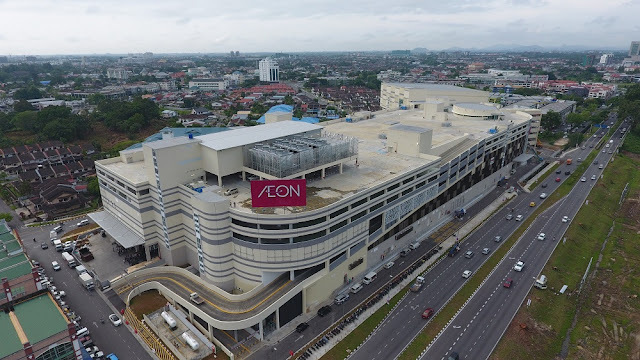 AEON MALL Kuching Central will be officiated by Yang Berhormat Dato’ Henry Sum Agong, Deputy Minister, Ministry of Domestic Trade, Co-operatives and Consumerism; Datuk Iskandar bin Sarudin, Chairman of AEON CO. (M) BHD. ; Mr Shinobu Washizawa, Managing Director of AEON CO. (M) BHD. ; Mr Poh Ying Loo, Executive Director of AEON CO. (M) BHD. ; and Mr Hiroyuki Kotera, Executive Director of AEON CO. (M) BHD., and representatives from the local community. “We would like to extend our heartfelt gratitude to the local authorities and communities who have been very supportive throughout the pre-planning and construction phase of AEON MALL Kuching Central. At AEON, we are always mindful of our Basic Philosophy, which always emphasizes on Peace, People and Community” concluded Washizawa. At the official launch of AEON MALL Kuching Central, the Malaysian AEON Foundation will make a contribution of RM 30,000 each to four charity homes; Lembaga Kebajikan Anak-Anak Yatim, The Sarawak Cheshire Homes, Pertubuhan Kebajikan & Pendidikan Nur Murni and Rumah Seri Kenangan Kuching. With the launch of AEON MALL Kuching Central, AEON CO. (M) BHD. now has a total of 27 AEON MALLs and 35 AEON Stores nationwide.